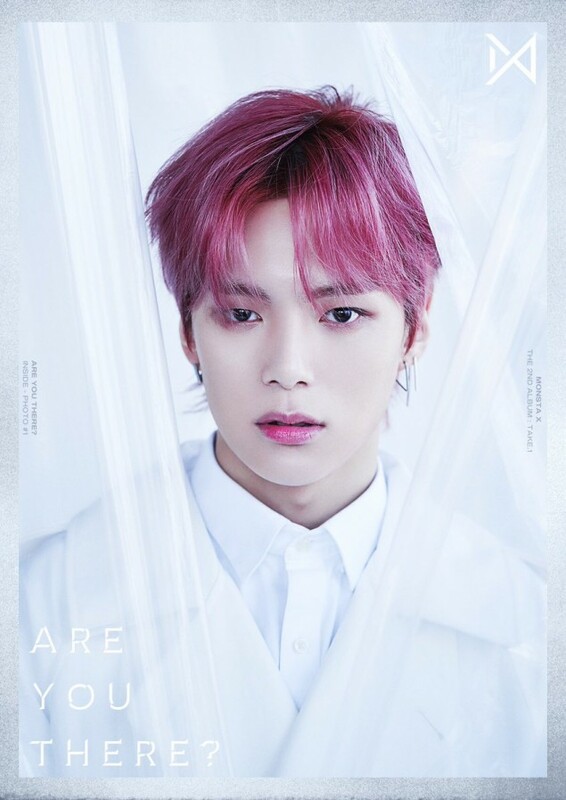 MONSTA X is giving fans a very first look at the group's 'Are You There?' 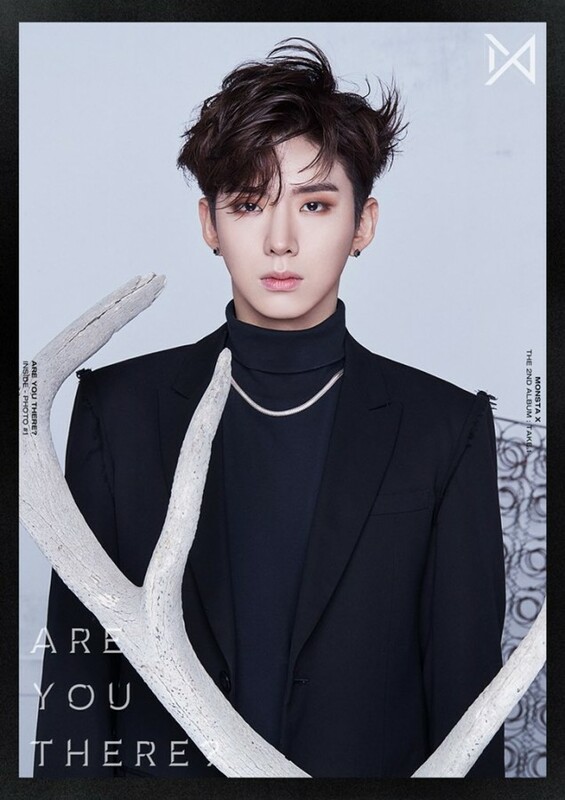 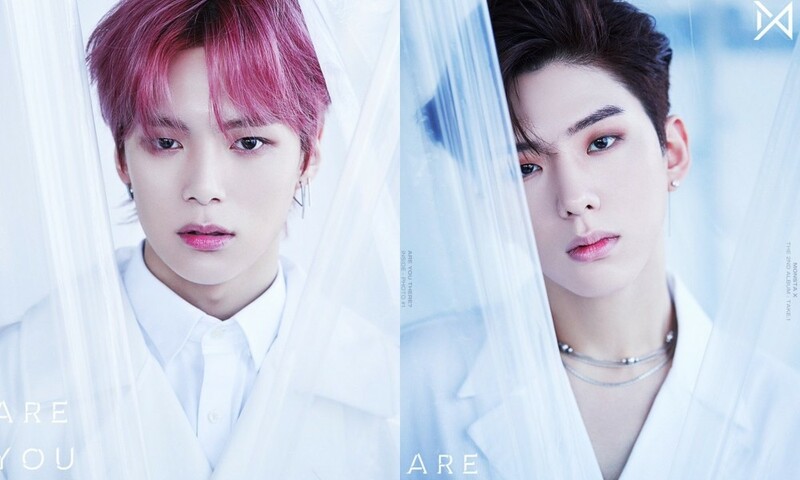 comeback concept via teaser images of members Kihyun and Minhyuk. 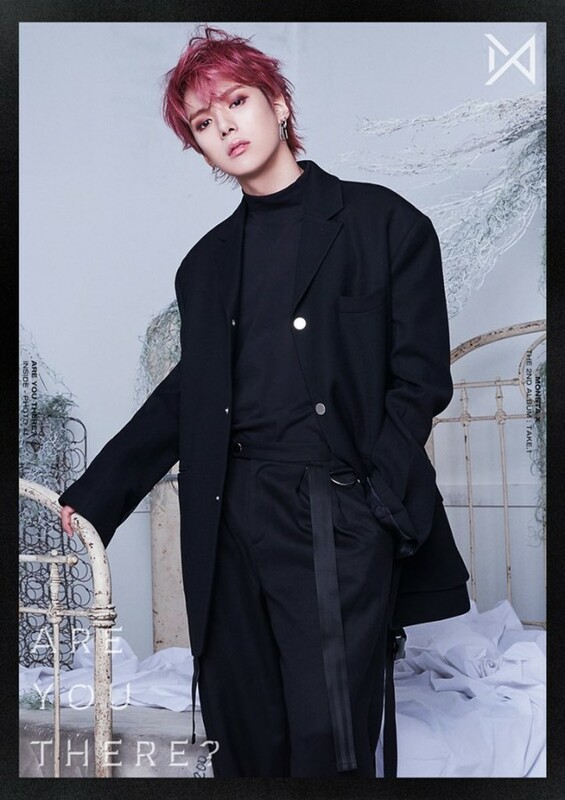 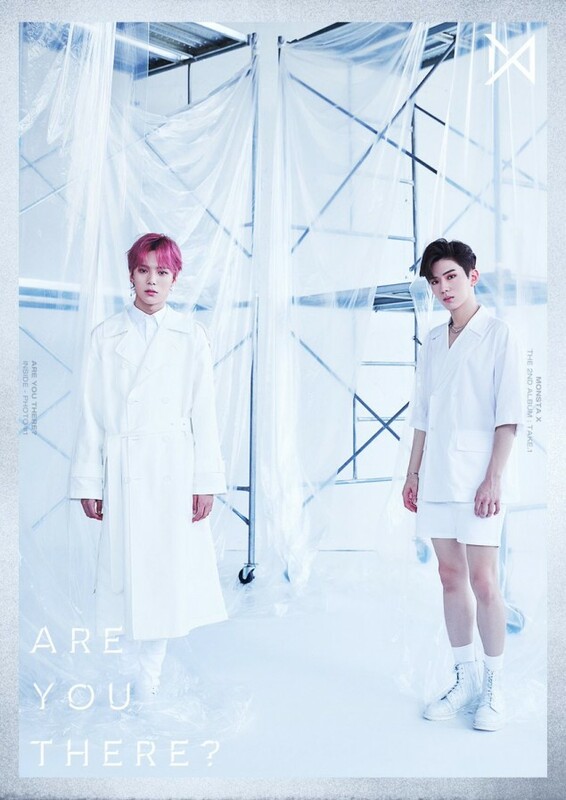 In the images, which were released through MONSTA X's official social media accounts on October 8, the boys' style is incredibly visual, with Minhyuk's smoky eye makeup and Kihyun's bright magenta hair creating a striking contrast to the shades of grey in the backdrop. 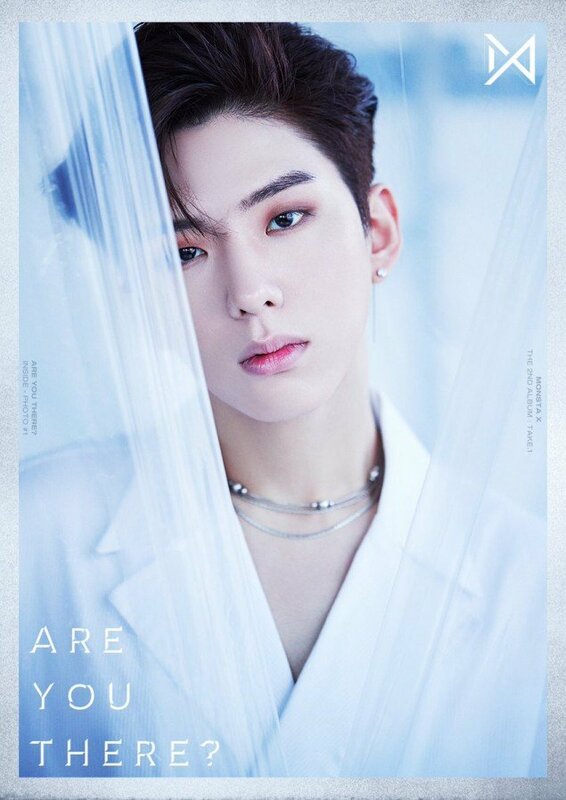 Ahead of the album's October 22 release date, MONSTA X plans to release a number of image, video, and audio teasers. 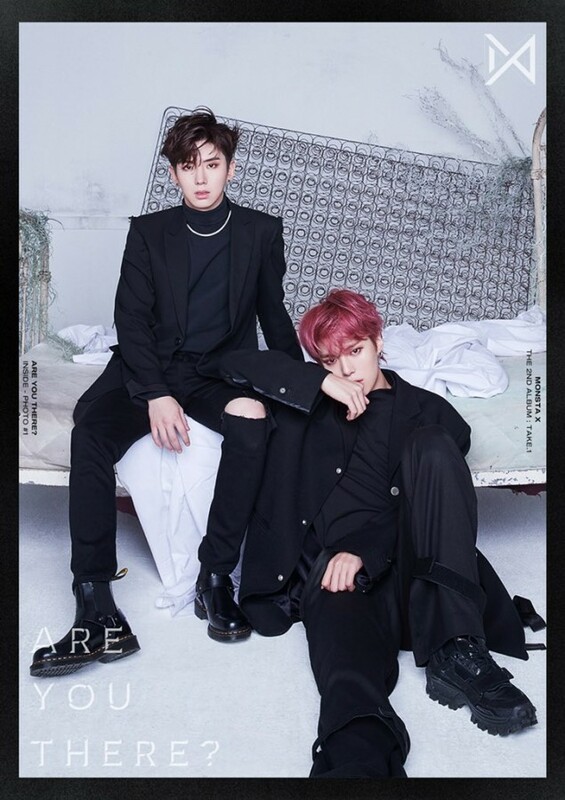 Stay tuned for more, and check out the images of Kihyun and Minhyuk below!